Since 1992, J.Margus Klaar has been working in the advertising and marketing industry. Over the years he became disillusioned by his role in making average products better. He realized, that in the changing media and technology landscape it was no longer enough to just look good. Products and services had to be good, in order to earn their customers’ loyalty. In 2009, with three partners, he started the service design and branding consultancy Brand Manual. Since then, Brand Manual has been a pioneer of service design and helped improve a multitude of brands and companies from the inside out, to be better, not just look better. He has worked with a multitude of companies from financial services to medical devices, delivering both improved customer satisfaction and financial performance for his clients. 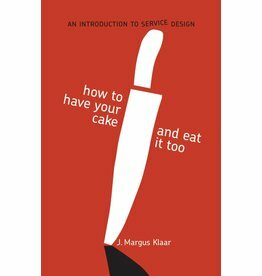 He is frequent speaker at service design and marketing conferences and is the author "How to have your cake and eat it too - An introduction to service design".